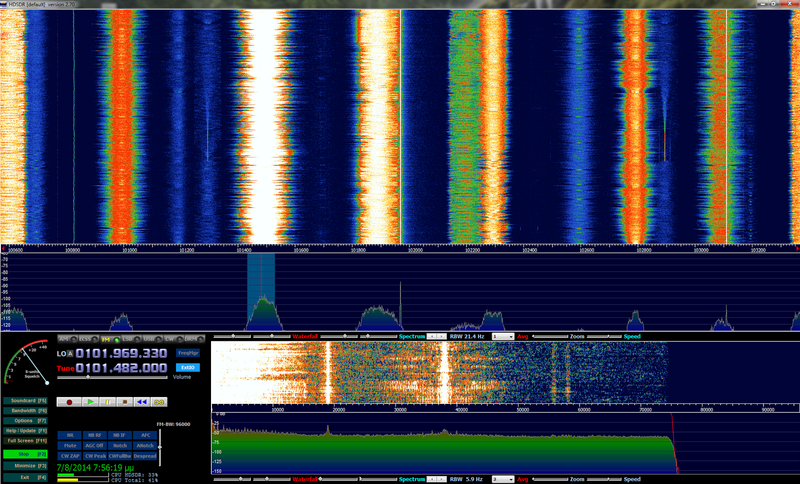 Two years have been passed from my last serious exploration using a cheap RTL TV receiver. I still remember my self trying to found a connector from the Canadian antenna to European type connector. I couldn't find my Lifeview LV5T Deluxe usb that i bought last time, so i bought a new one, this time a HAMA DVB-T based on the FC0013. The reception is similar with my old lifeview stick, however a noticed worse performance when going over 800 MHz. The time has come again to see if something changed in the field of applications that support the RTL receivers. One of my favorites when i 'm using windows. The newest version has been improved considerably from the last time i used it. The application was open source, but unfortunately the programmer switched to closed source, but it is still free to download. This was the first SDR application i have ever used. I remember two years ago the performance of the application was really bad. In the next release things got better, but still it was far away from SDR#. My experience even trying simple FM radio channels is still bad. Limited options about the bandwidth. I tried this application from curiosity. It suppose to be the most complex from all others. The problem is not in the complexity of the application, but in the bad GUI design, compared with the other applications. It is not bad choice, but the interface need improvement. This is totally open source. It is fast, but looks simpler compared with the other applications. I would expect smoother controls from what is now. It is a pain in the back if you want to compile it in old version of the Ubuntu, due to dependencies in the GNU radio. Overall i will choose SDR#. It has the best interface and it is one of the fastest available. 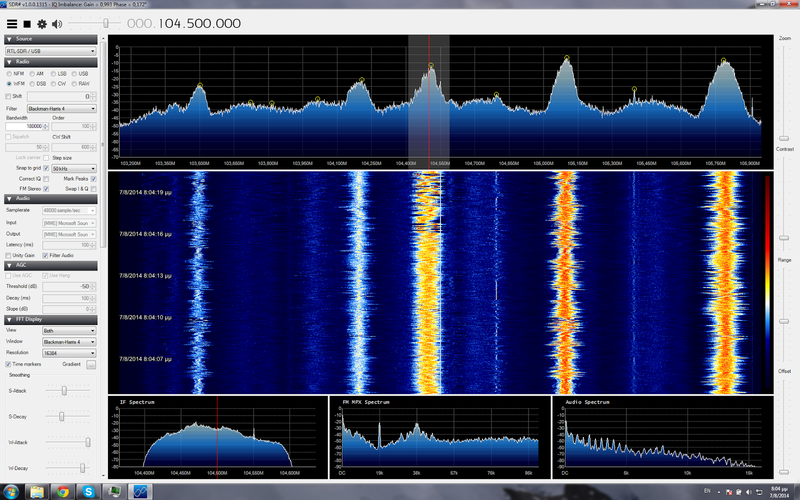 SDR-RADIO V2 is not bad, but needs some work on the GUI. 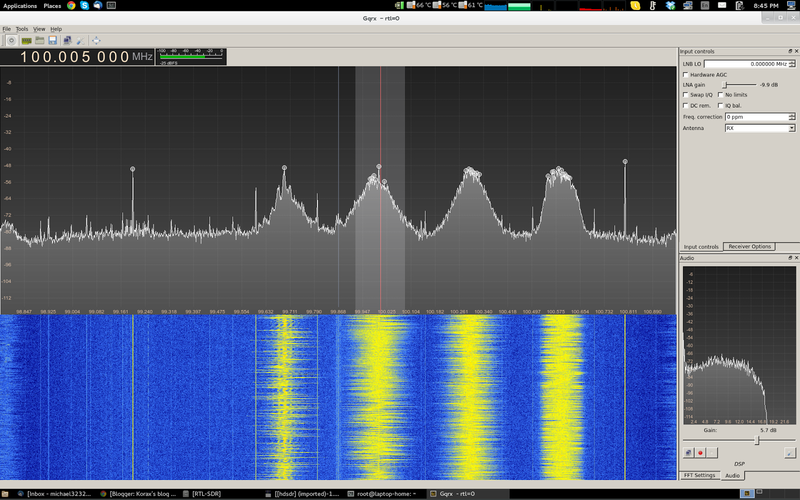 Avoid using HDSDR, it is still limited when using RTL based chips, although the author has improved the performance. 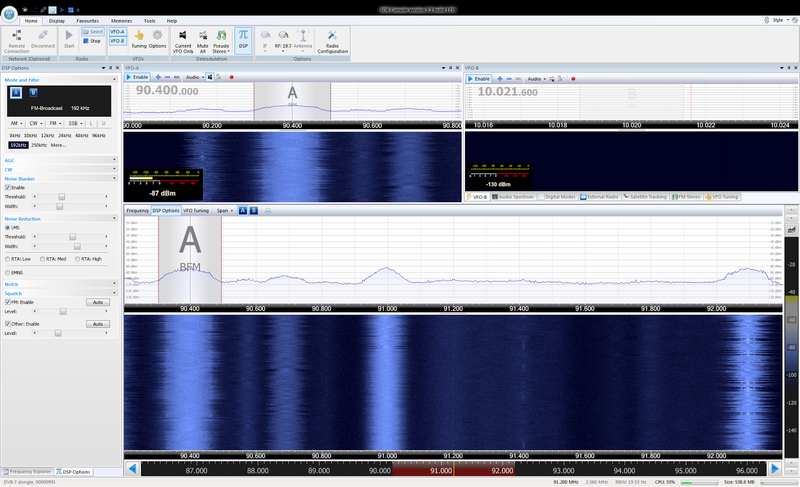 GQRX is simple and fast in Linux and it is available in the repositories if you are using Ubuntu 14.04 LTS.